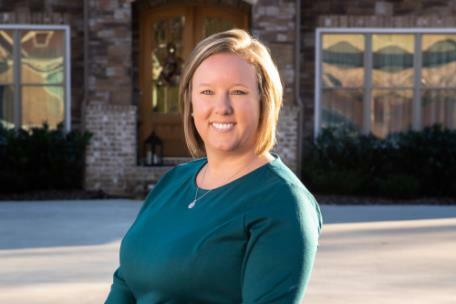 The Paula McDaniel Group announced that Kristen Hardy has completed the real estate industry’s most comprehensive new home sales course to earn her national certifications as a Certified New Home Specialist as well as a Residential Construction Certified professional. With these certifications, she joins a group dedicated to providing the highest level of professionalism and service to builders and new home buyers. Completion of the Certified New Home Specialist training involves a total of over 22 hours of specialized course work and successful completion of the CNHS certification test and the completion of the Residential Construction Certified training involves over 10 hours of specialized interactive course work and successful completion of RCC certification test. The courses were created by trainer, author and consultant Dennis Walsh, who is recognized internationally as a leading authority in all aspects of residential construction, new home sales and marketing. Ms. Hardy has been active in real estate sales for six years and works in the greater Chattanooga, North Georgia, and Cleveland areas. She can be reached at 423 503-4815 or at Kristen@PaulaMcDaniel.com.